GDC 09: How silly you'll look playing WarioWare: Snapped! So you thought Nintendo's Bill Trinen looked nuts playing Rock N' Roll Climber? Forget that -- it's old news. The new hontesss for looking like a nutjob while playing a game is WarioWare: Snapped! One of the first available games for Nintendo's DSiWare service, Snapped utilizes the consoles camera to capture your movements to complete WarioWare-style mini-games. Like shaking your head to dry off a miserable looking (but cute) puppy. It's a headache and a straight-jacket waiting to happen, but could be a bit of fun. 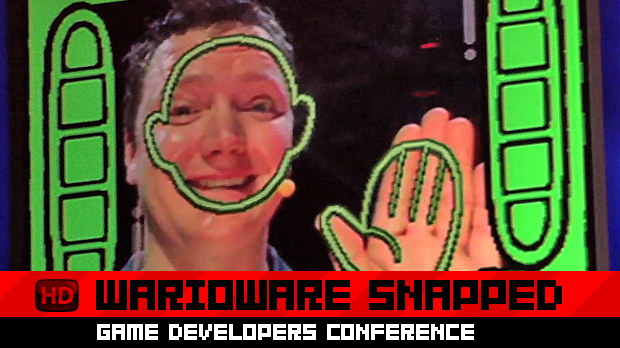 Check out Trinen getting down and nasty with WarioWare: Snapped in our video after the jump.